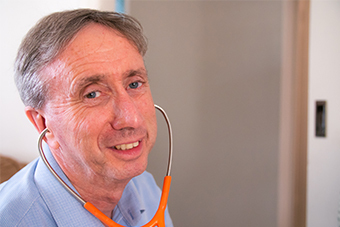 Dr Hans Blom, a local General Practitioner from the Northern Beaches of Sydney, explains, “The My Health Record will bring together information from services such as general practice, hospitals and specialists, including discharge summaries from hospitals, test results, specialist referrals, vaccinations, patient health history, medicines and allergies. I find that for my patients with complicated health conditions or for those who, for one reason or another, are not able to easily recall their medical details, it makes it so much easier for other health professionals to make appropriate care decisions”. 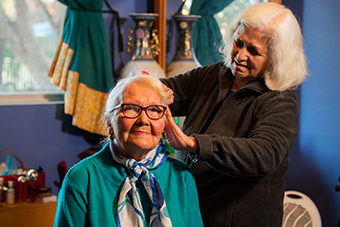 Rose O’Donnell is 70 years of age, the carer for her 92-year-old mother (who lives with her), mother of a 30-year-old son with chronic back issues and a grandmother of two. She is amazed by the My Health Record and the benefits it brings to her and her family. 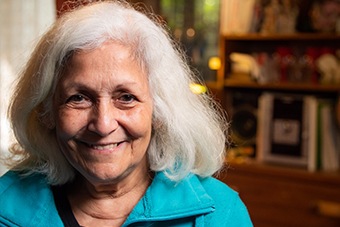 “At age 92 my mother has several chronic conditions including asthma, sinus problems, dry eyes, reflux, low blood pressure and a more serious condition of the nervous system that affects the use of her left hand. Most of the conditions are just associated with ageing, but it means she has a lot of medications to take and a lot more allergies. “For decades we were told to carry around a list of her medications and allergies on a piece of paper in her pocket or purse. We would often forget it or question whether it was up to date. Now with the My Health Record, this is all information we put up there for Mum and ask her GP to do the same. “Mum and I get sick and tired of explaining all of these health conditions and the medications to different Doctors so to have it all up on the My Health Record saves time and stops medical professionals from asking the same questions over and over and unnecessarily experimenting with medications. Having a My Health Record can also help you get the right treatment. It’s a convenient way to record and track your own health information over time. And it is controlled by you,” says Rose. Rose also has a son with a serious spinal issue that means he spends a lot of time in hospital. “My Health Record reduces the burden on carers and families in trying to keep up-to-date records. It has assisted hospital emergency departments in assessing patients’ conditions. It has allowed patients to have more confidence in knowing that if their healthcare professional is not available, there will always be a readily available record following them,” says Dr Blom. Dr Blom continued, “For emergency departments, this is a huge issue especially for out-of-hours presentations when it can be challenging to access records quickly. Indirectly, it saves costs to the health system by reducing investigations that have already been performed, and it can reduce medication errors which are a major cause of hospital presentations”. As you control your own My Health Record, you will be able to see which health professionals have accessed it and you can also request for information you don’t want on it, not to be uploaded or remove it altogether. It’s worth noting that under the law only healthcare providers involved in your care can access your My Health Record. To do this, they need to be registered with the My Health Record system; otherwise they’re unable to access it. This may include health care providers such as your General Practitioner (GP), pharmacies, pathology labs, hospitals, specialists, and allied health professionals. You can also set up automatic notifications to receive an email or SMS alerts when a new healthcare organisation accesses your My Health Record for the first time, or in an emergency. Every time your My Health Record is accessed, it’s recorded in an audit log which you can view. The My Health Record cybersecurity team continually monitors system access, and there are strict penalties for any unlawful access. 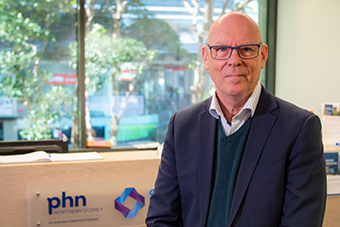 Eric Dunn is the Digital Health Manager at the Sydney North Health Network and says, “Basically a My Health Record is a secure online summary of a person’s key health information. I personally use My Health Record for my own and my family’s organ donor information, next of kin information, and my daughter’s health history and medications. It’s immediately accessible by my health providers when it’s needed 24/7, it has a medicines summary of all our medicines over time, it can speak for me when I can’t in an emergency health situation, and I can control who gets to see it. You can also customise access to your My Health Record by setting access controls including restricting who can see your information, adding a PIN code to an individual document or the whole record so only health professionals you provide the code to can access it unless it’s an emergency, or cancel your record, at any time. The Federal Health Minister recently announced the plan to strengthen privacy provisions around the My Health Record, following feedback from general practice and the community. After constructive discussions with the Australian Medical Association (AMA) and Royal Australian College of General Practitioners (RACGP), the Australian Government will strengthen privacy provisions under the My Health Record Act, to match the existing Australian Digital Health Agency policy, which requires a court order to release any My Health Record information without consent. The amendment will ensure no record can be released to police or government agencies, for any purpose, without a court order. The legislation will also be revised to ensure that if someone wishes to cancel their record, they will be able to do so permanently, with their record deleted from the system. Better Access – Your important healthcare information will be available in one place that is easily accessible by your authorised doctors, specialists or hospitals. Even if you move or travel interstate, the information can be viewed securely online. My Health Record is mobile enabled so you can access your health information from a computer, tablet or mobile device. You control who can see it. Once it’s set up, you don’t need to do anything. Strong Security – There are strict rules and regulations on who can see or use your My Health Record to protect your health information from misuse or loss. Convenience – You won’t need to worry about having to remember and repeat your health history like medicines, details of chronic conditions, immunisations and the dates of recent tests with different or new healthcare providers. The same goes for your children’s health history including immunisations and medical tests. Improved Safety – In a medical emergency, healthcare providers connected to the My Health Record system can see your health information to provide you the best possible care quickly. If you like, you can list any allergies, adverse reactions and medical conditions you may have to help healthcare providers give you better advice and treatment. Consent – Under the My Health Records Act 2012, healthcare provider organisations are authorised to upload information to the My Health Record System, and view information in the system. Generally, this means that healthcare providers do not need to obtain consent prior to uploading information to a My Health Record when providing services to a healthcare consumer. However, consumers can request that a particular document is not uploaded to their record, and healthcare providers must comply with such requests. In addition, consumers can restrict access to or remove information contained in their record. Under the My Health Records Act 2012, healthcare provider organisations are authorised to upload information to the My Health Record System. This means that, subject to the situations described below, there is no requirement for a healthcare provider to obtain consent on each occasion prior to uploading clinical information. There is also no requirement for a healthcare consumer to review clinical information prior to it being uploaded. It may be considered good clinical practice to advise a patient that you will be uploading information to their My Health Record, particularly if this information might be considered sensitive. This approach is recommended by the Australian Medical Association in its guide to using the My Health Record system.